Eldridge Street Synagogue is not only notable as an active, thriving Jewish temple but as a historic landmark highlighting the legacy of American immigration, the freedom of religion, and the perseverance of faith. This is one of the first synagogues ever constructed in New York City, built in 1887 by strong-willed Eastern European immigrants desiring a synagogue to call their own in the New World. The beautiful building was of Moorish Revival architecture, striking a spiritual pose against the Manhattan skyline in what is now Chinatown. Over the years, and through trying times of trouble, the synagogue fell into disrepair though it never ceased performing weekly services, even during wartime. The 1980s brought with it much needed renovations and after 20 years of hard work, the new and improved Eldridge Street Synagogue was revealed. Stained glass windows were replaced, frescoes were retouched and sometimes uncovered, mosaics replaced, and pigeons ousted from the rafters. The centerpiece of the renovations is the stunning rose window which shines down on the whole congregation like the stars it portrays. 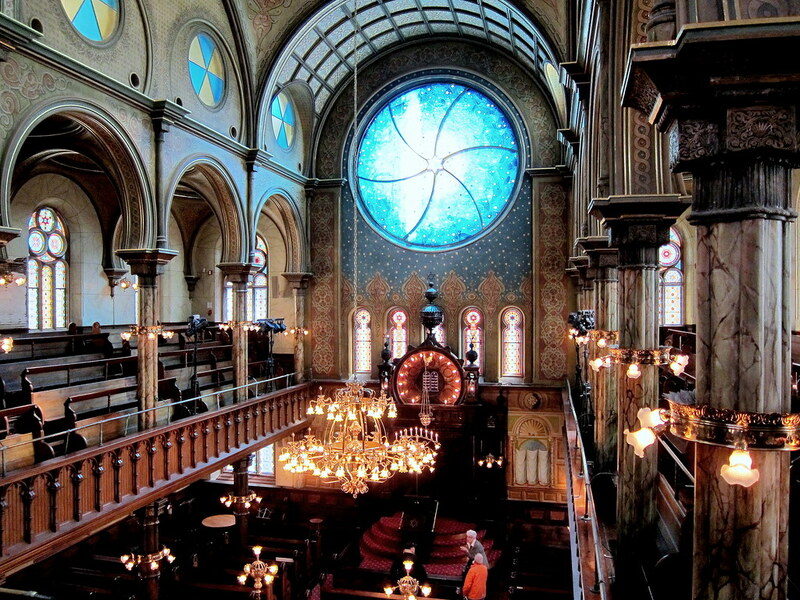 While you're in New York, stop by the Eldridge Street Synagogue for a lesson in history, a glimpse into the Jewish faith and traditions, or for a moment of reflection and worship. Visit the museum and explore the religion throughout history and how the faithful immigrants made New York their home, or take a tour of the synagogue using a downloadable guide. The temple museum is closed every Saturday and on Jewish holidays.